There's a lot that happens behind the scenes of a fashion show. The fashion and textile designer opens up about what it takes to crack the business and the inspiration behind her latest collaboration. We shot off a few questions to the alumnus of the local fashion initiative and only women taking part this season. 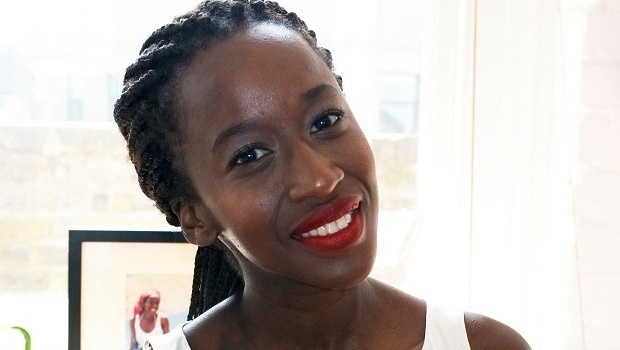 Q: What's surprised you most about yourself and your business since being part of StyleBySA? How many people love my prints! It’s been amazing to have such a big reach with my work. It's always lovely getting tagged when people are wearing my designs. Q: Have perceptions about the value of SA designers changed in the last few years? 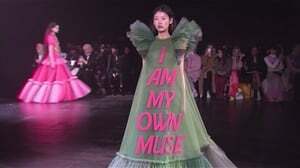 I think we've have realised that fashion is a commercial entity and that us young designers have something important to say about our home and our culture. It’s a very powerful time to be an African designer. Q: Any advice to aspiring young designers? Intern, intern, intern. I cannot stress this enough. Get as much work experience as possible. Study fashion or a textile degree or diploma to get a better idea of how things are made. And also work in a factory to get some practical experience in production. I worked for a huge retailer for two years and did so much interning in my twenties. Q: If you want to get far in the industry? Be kind and polite to everyone you meet. This industry is about relationships. The intern you meet now may end up being an editor in 10 years’ time. Be authentic. The best designers know who they are and what they’re trying to communicate. You can’t be like anyone have your own authentic voice. Q: Which local story do you think has yet to be told properly? The story of Queen Nandi. Q: What inspired your collection? I am a mom of two now and so comfort and ease are vital part of my dressing. I think you’ll always expect shirt dresses from me. They are practical and easy and can move between work and a night out by just changing accessories. Q: And your home too, right? Favourite memories from your childhood? I have a memory of going to the beach on the last day of December with my mom, dad, brother, aunties and cousins. Its basically when every black person in Kwa Zulu-Natal goes to the beach! We would pack a picnic basket of goodies and spend the whole day swimming and playing in the ocean until we were all five shades darker from playing in the sun with no sunscreen. Then we’d eat chips from the local chip shop with loads of tomato sauce. Chips, beach and sunshine. That’s such a fond memory of growing up in Durban. Q: Best thing about being a fashion designer? The people! I have meant so many fun, genuine, amazing people in this business. Being able to make your own clothes and having my samples as an extended part of my wardrobe! Being an authentic African voice through my craft. I am so grateful to do what I love every day. Q: What one item have you had the longest? I believe so much in sustainability and the concept of keeping clothes for a long time is something I really like to celebrate. I have two items I want to talk about. The first is a halterneck dress my grandmother made for my mother for a beauty contest she was in at the University of Natal in the 70’s. It’s so classically that style and I love that it tells a story of a part of my mom's life that was fun and frivolous. She’ll kill me for even mentioning she was in a beauty contest! Lol. The second item is my Barbour coat. It’s a wax coat I bought in London 15 years ago and it’s still with me every year, every rainy day. It’s a classic shape, well made and tells the story of my time in London. Q: What one thing goes through your mind before your work hits the runway?